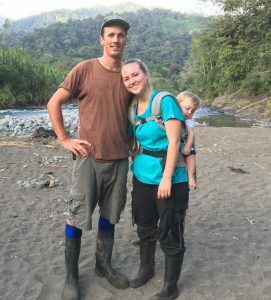 Joel and Rebekah, along with their son Benaiah, live and work among the Cabécar people. They both speak the Cabécar language and Spanish, and are involved in the Infrastructure and Dental Clinic aspects of ICDI’s Community Development Projects. In this context, they are building relationships and sharing God’s Word with people in their own language. Doors have opened to them because of relationships they have in Grano de Oro and in the communities in the reservation, their ability to speak Spanish and Cabécar, and their skills in carpentry and dentistry. Joel has studied the Cabécar language in order to communicate with people and, even more importantly, to relate to them as a friend and mentor. On trips into the reservation Joel visits people in their homes and reads the Bible to them in Cabécar. He also joins forces with the local people and works on health post buildings, fixes cable cart crossings, and builds suspension bridges. His intention is to see the residents meet the needs of their own communities. When they are in the reservation Rebekah uses the portable clinic to provide dental care and education. 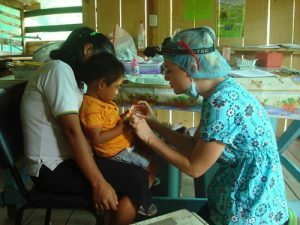 In Grano de Oro she sees patients at the dental clinic part time with two Cabécar women she has trained to assist her. She hopes to mentor other Cabécar women to be dental health promoters in the reservation. Even as they raise Benaiah and work as a family they want to be an example to those around them. They wish to strengthen individuals and influence the community in a wholesome manner so that the people can attain sustainability. 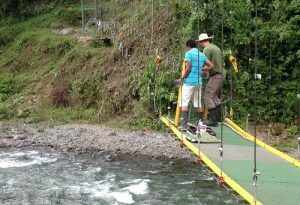 In January 2010, Joel, a carpenter from Switzerland, traveled to Costa Rica and volunteered for a year at an indigenous training center. While there he met and became friends with Timothy Jones who works with the Cabécar people as a Bible translator. After Joel finished his commitment with the training center, Timothy invited him to live and help on his coffee farm in Grano de Oro, Costa Rica. Joel accepted the invitation and this is where he met Rebekah, Timothy’s oldest daughter. As Rebekah and Joel worked together on the farm their friendship grew and eventually became a serious relationship. They also shared a desire to serve the people in Grano de Oro and the indigenous people in the Cabécar reservation nearby. Rebekah grew up in Grano de Oro and had friends in the neighboring Cabécar Reservation. As a young adult, her goal was to become a third-generation missionary and follow in the footsteps of her grandparents and father. She studied dentistry at the University of Costa Rica. 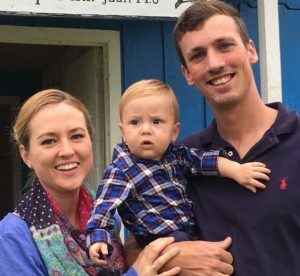 In January 2013 Joel started to study intercultural missions at a Bible seminary in San Jose, while Rebekah worked on her last two years of dental school. During their break from classes in December 2013, they celebrated their wedding with family and friends. A year later Rebekah graduated and they returned to Grano de Oro to lay the foundation for their work among the Cabécars. Their son Benaiah was born the following year. Thank you all for your interest and care, for financially supporting us and our projects so we can keep working. We are so blessed to have you all with us!